Nabil Abu Rodeina, spokesperson of the Palestinian Presidency, stated Tuesday that the Israeli decision to build 1600 units for Jewish settlers in East Jerusalem is a serious Israeli escalation and an attempt to sabotage the indirect, American mediated talks, before they even start. 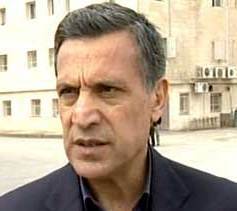 Abu Rodeina added that “it is clear now that the Israeli government is not interested in negotiations or peace”. He demanded the U.S. government to respond to this Israeli provocation, and added that such Israeli violations are destructive to the efforts to achieve peace, and that the U.S. must practice real pressure on the Israeli government. The new decision came only one day after the Israeli government decided to build 112 units for settlers in Beitar Illit settlement in the occupied West Bank. The settlement has a majority of Ultra Orthodox Jews. The decisions for new constructions were made by the Israeli Interior Ministry. The 1600 units will be built in occupied East Jerusalem and in the West Bank. The Jerusalem construction will be conducted in Ramat Shlomo settlement as it will be expanded from the East and the south. Ma’er Margelite of the Jerusalem City Council slammed the decision of Interior Minister, Elie Yishai, and said that this decision obstructs the efforts to resume peace talks, and obstructs the efforts of the visiting U.S. vice president, Joe Biden. “This decision was not made by accident, its timing is a strike to the efforts to resume peace talks”, Margelite said, “Interior Minister, Yishai, could not even wait until Biden leaves the region, and had to make this decision to provoke the US government and even Benjamin Netanyahu”. Chief Palestinian Negotiator, Dr. Saeb Erekat, said that the decision puts talks at risk, and added that Israel is sabotaging the efforts of US Middle East Peace Envoy, George Mitchell. But Israel’s Environment Minister, Gilad Erdan, said that this settlement was not included in the settlement freeze, and that the decision was made by the previous government of Ehud Olmert. Peace Now Movement in Israel said the Israeli government has no real intentions to advance the peace process. Settlements violate the International Law, the Fourth Geneva Conventions are constitute war crimes. Israel was encouraged to advance its settlement activities in the occupied Palestinian territory after the U.S administration backed down on its demand that Israel must stop the construction of settlements before peace talks can be resumed.